Stanford researchers have found that malignant breast cancer cells can extend protrusions known as invadopodia to dig escape tunnels through surrounding tissue, revealing a possible new target for therapies. The panelists acknowledged that switching off cancer-driving genes in tumors was beyond what experts can do now, but they pointed out that CRISPR is already being used to develop the next generation of immunotherapies. Overall, they said, they didn’t want to underestimate CRISPR. The mouse systems studied here are directly analogous to the human diseases; you could hardly ask for stronger animal-model evidence that these techniques should be applicable in human patients. And the selectivity and overall lack of side effects are very impressive. Europe is rapidly advancing the utility of drug sensitivity and resistance testing. Researchers in the U.S. have been significantly slower to pick up the baton. Simply following the genomics pathway reduces our abilities to help patients. It is time to arm personalized medicine with more weapons. A total of 597 trials were initiated in Britain in 2017, against an average of 806 over the previous eight years, according to a Fitch analysis on Tuesday. In the new study, funded by charity Bloodwise, the research team created a genetically engineered version of a cell called an invariant natural killer T-cell - CAR19-iNKT. The clinical hold was initiated after the occurrence of Serious Adverse Events (SAEs) in three patients, which included a death in the ALL study and two life-threatening events in the NHL study. Just a few weeks after signing Genentech on to the platform for a collaboration using its NK cell tech for guiding an immune response against cancer, researchers for the biotech have waved back patients in a Phase I program for their CD19/CD3-targeting T cell engager AFM11 after the death of one patient and a life-threatening reaction in two others. First-of-its-kind study indicates that neoadjuvant approach is feasible but also cautions need to optimize current regimens. Investigators observed that combined checkpoint blockade was “much more effective,” with 8 patients in the arm seeing their tumor shrink and 5 of them showing no evidence of disease at surgery. It’s however a result marred by notable toxicity — 8 experienced grade 3 side effects, causing delays in dosing and surgery. New York biotech Rgenix has raised $40 million in series C financing to carry out early and midstage trials for a pair of cancer drugs: an immunotherapy for solid tumors and a cancer metabolism inhibitor for gastrointestinal cancers. 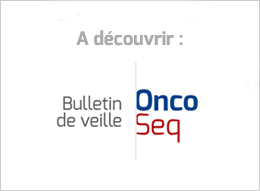 Interim Phase 2 results highlight the potential of pemigatinib (INCB54828) in cholangiocarcinoma and urothelial carcinoma. The larotrectinib oral presentation will provide updated follow-up on the primary analysis set of 55 patients enrolled across the larotrectinib pivotal program, as well as details on the clinical activity of larotrectinib in additional TRK fusion patients subsequently enrolled. More than 100 abstracts involving Merck medicines – including eight late-breaking abstracts – across more than 15 tumor types have been accepted. More than 50 presentations, including data from the pivotal Phase III trial SOLO-1 selected for oral presentation in the ESMO Presidential Symposium. The TiNivo study is a Phase 1b/2 multicenter trial of oral tivozanib (FOTIVDA®) in combination with intravenous nivolumab (OPDIVO®, Bristol-Myers Squibb), an immune checkpoint, or PD-1, inhibitor, for the treatment of metastatic renal cell carcinoma (mRCC). PRIMA is a fully-enrolled Phase 3 trial for patients with first-line ovarian cancer regardless of biomarker status and we expect top-line results to be available in late 2019. At Imperial, the former Vice President called for scientists around the world to collaborate in new ways, make data more widely accessible and create a cancer research and care system that the public deserves. Scientists receive too little peer-review training. Here’s one method for effectively peer-reviewing papers, says Mathew Stiller-Reeve. Xie’s dismissal comes against a backdrop of increased scrutiny of the power structure in science. It also shines a light on the perennially fraught issue of how credit for authorship is designated in a hugely competitive environment in which prominent placement as an author propels young careers and sustains established ones.